Ideal for indulging in a slice of your favourite cake, these stunning Elia Siena Cake Knives feature a highly polished mirror finish. 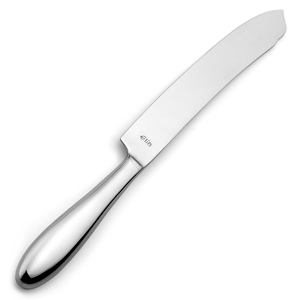 Made from heavy gauge 18/10 stainless steel for a balanced and comfortable hold, this cake knife offers unbeatable strength, perfect for use in commercial settings such as cafes, hotels and B&B's. With graceful curves and rounded edges, this Elia Cutlery is ideal for adding a subtle hint of contemporary shape and design to food service.